I’ve been playing with SQL Server 2008 R2 for quite a while in the CTP’s and what not. But, I hadn’t made a concerted effort to look at the new version of Reporting Services… HUGE mistake. There are a number of, not insubstantial, updates to Reporting Services that, probably, are the primary selling points of 2008 R2. The big one, for me, was the incorporation of mapping directly into reports. Did I say big? I’m sorry, I meant, enormous, gigantic, galactic, really, really important… Why you ask? I work for an insurance company. We insure factories, warehouses, that sort of thing. Funny bit of information about a factory, when floods, high wind or earthquakes come calling, they just don’t seem to be able to get out of the way adequately. Weird, huh? With that in mind, it’s really useful to be able to know, not simply where a building is located, but if that location is in a 50 year or a 500 year flood zone, is it subject to high winds, does the New Madrid fault line run straight across the factory floor… Because that factory isn’t going anywhere, you want to know how it should be built to withstand that flood, wind, earth movement, etc.. In other words, spatial data is a big deal where I work. No big deal right? Except, this was free, I didn’t type a bit of code, I didn’t set any properties or muck about with all sorts of menu choices or do much of anything at all, but I ended up with what could be a useful report. It took longer for me to type this sentence than it did to create the map. Imagine what you can do if you actually tried to put some work into it. This is a fantastic new resource and one that I’m going to be spending a lot of time exploring. I think many of you will find it useful as well. PASS just published a new Top 10 list of mine over at the their web site. This one is the Top 10 Articles on the web if you’re trying to learn about spatial data. 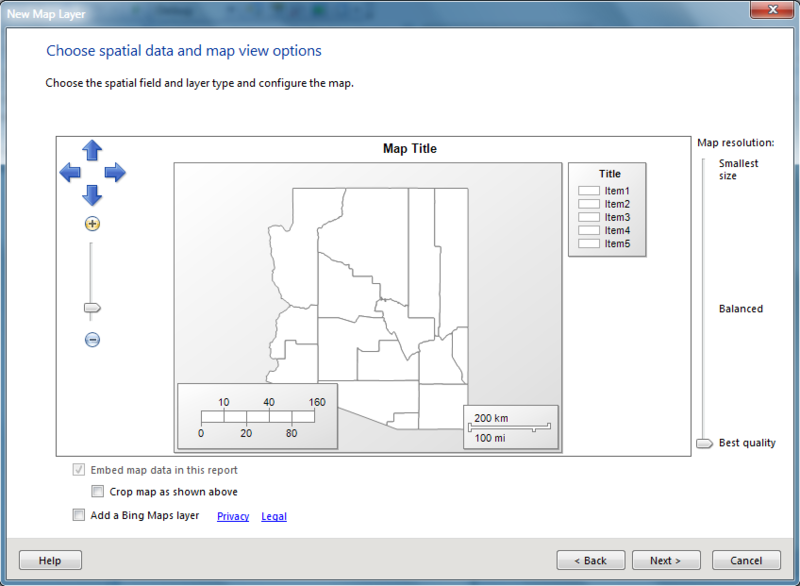 I’m not trying to say that I know what I’m doing with spatial data. I’m still feeling my way forward. These articles have proved to be the most useful in the learning I’ve done so far. I wanted to publish a little more information than we put into our Top 10 lists over at PASS. Having the list is good, but I thought it needed a bit of commentary to be complete. All these articles are good and all the web sites hosting the articles have good stuff on them. A few of the web sites stand out. Paul Randal‘s site covers quite a lot more than spatial data, but he writes with such clarity that his posts are a must read. When you’re ready for more, you need to read the stuff at Bob Beauchemin’s blog. Again, there’s more than just spatial data to be had there, but Mr. Beauchemin has really done the research and he’s good enough to compile it for the rest of us. Those are, sort of, the introductory sites. When you’re ready to really and truly just go with all things spatial, the two sites that are going to prove most useful (or, at least that I’ve found most useful) are Spatial Ed(Ed Katibah) and Isaac Kunen. These are two of the people responsible for creating the spatial engine inside SQL Server. We can thank them for that, but better still, these guys are good about communicating what they’ve done, what it means, how it works, applications, ideas… You get the drift. If you’re really pursuing spatial data as an important component of your enterprise data, you need to read their stuff. There are a few links that I couldn’t easily fit into the top 10 since they’re not discrete articles. I’ve already blogged about and reviewed Alastair Aitchison’s excellent book, Beginng Spatial with SQL Server 2008, but it’s worth another plug. You will also want to browse through the functionality being posted at the SQL Server Spatial Tools site over at CodePlex. Stuff there is pretty useful for getting your own functionality… functional. Finally, when you get stuck, if you get stuck, one of the best places to get unstuck is on the MSDN spatial forum, where a lot of the people already mentioned are answering questions and posting. These are the resources I’ve found most useful in the little bit of spatial I’ve learned so far. I hope the top 10 list and this explanation of it prove useful. I keep thinking I’ve got a handle on spatial data and I keep finding out I’m wrong. I rewrote the cursor that my co-worker used into a query that joined the list of test criteria onto our list of locations. I used an OUTER APPLY to more or less run a check for each of the test criteria since, except for the proximity to the locations, there’s no actual relationship between the test criteria and the location data for me to join on. The cursor was taking almost a full minute to return just under 400 rows worth of data. This query took about 25 seconds. SCORE! I then ran a whole series of experiments with my query. I kept changing the density and the cells per object value for the three indexes and recording times. In every test, the medium density index outperformed the low and high density indexes. It never outperformed the low density index by a whole lot, usually running ~50% faster as opposed to running 5 times faster than the high density index. But it really did run better. My current working theory, and I’m trying to figure out how I can validate this, is that the low and medium density indexes were more efficient at eliminating the negative values, the places where the criteria wasn’t in proximity to my locations. Then, the medium density index was just better at retrieving the data than the low density index. I base this on the fact that the primary filter efficiency on the medium density index is better than the low (although not as good as the high). In my previous post, Spatial Data Hurts My Brain, I showed how a query used the spatial index, but hurt performance. Several people jumped in to try to help out. Thanks to Bob Beauchamin, Isaac Kunin, Gail Shaw, and Valerie Yakich (via Twitter). About what you would expect. The query returns almost 5000 rows of the 500000 in the table and runs for 14 seconds on my machine. Now I’m going to create this index and run the query again. When the query is run a second time, here’s the execution plan. I’m not going to try to explain everything happening with the plan, because I’m not entirely sure what all is. I’m still figuring that out. Suffice to say that the table valued function and the constant scan operator feed data into a seek against the clustered index (which is missing statistics for some reason) where it’s fed to a compute scalar and then finally it’s loop joined to the clustered index in what I assume is the equivalent of a key lookup. Again, I’m still figuring this part out. I skipped some steps. Much, much less complex and quite easy to explain. I have a covering index that does a simple seek to retrieve the initial set of data and then it’s filtered to remove the locations that are too far from the point of interest. But, here’s where it gets interesting. The execution time was 126ms. The spatial index shaved about 30ms, or about 25%, off the time of what would normally be the fastest access path, a covering non-clustered index. That is a substantial savings. I’ve done a lot of testing over the last few days and I didn’t always see this kind of performance benefit. Several times I’ve seen worse performance. Also, I’m not sure why a brand new index has missing statistics, as seen in the execution plans when the where the spatial index was used. Further, the optimizer is choosing the nonclustered index over the spatial index, clearly because of the estimated costs, when the spatial index does, in fact, perform better in this instance. I’m not sure what to do about that, apart from dropping the nonclustered index. That’s OK. It just means more to learn. Starting with, explaining exactly what’s happening in the spatial index execution plan. That may be the next post. I forgot to mention. I ran the sp_help_spatial_geography_index DMV to see what information it could give, but when I supplied the parameter value listed above, I received a filter efficiency of zero. I’m clearly not understanding how to apply this DMV. I work for an insurance company. If you think that maybe, we might be interested in the physical location of the things we insure, you’d be right. Actually, we’re an insurance company predicated on the idea that risk can be managed. That means that not only do we know where your factory is located. We know the wind zone, earthquake zone, flood zone, rain zone and temperature zone it’s in. We send engineers out to the site to inspect it and recommend upgrades. We track the upgrades and the condition of your facility. 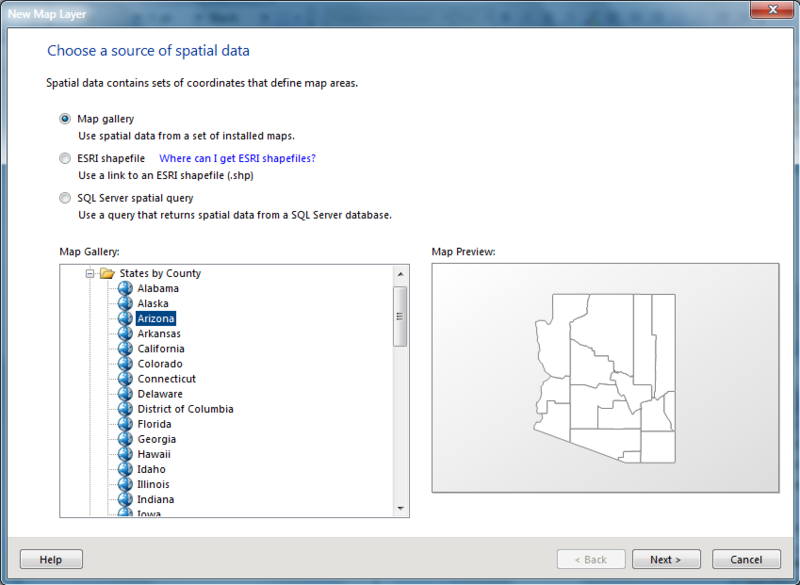 With all that location specific information, just how important do you think it is that with SQL Server 2008 we’re finally getting a spatial data type? Yeah, exactly. We’re in the process of launching our first full implementation of the spatial data type and, quite frankly, I was not ready. I had read several of the BOL entries and a few articles online, but nothing had given me enough information for me to say I understood how spatial data worked. Now I at least feel like I’ve got a basis for understanding. That’s because of Alistair Aitchison‘s book Beginning Spatial. This was not an easy read for me. The first few chapters are frankly difficult. The concepts behind spatial data are not exactly simple. However, Mr. Aitchison did a great job of presenting the information in well explained, digestible chunks. I was able to get through. Coming out the other side, I’ve still got a lot of questions and concerns (especially around spatial indexes, he could have done another three or four chapters on just that topic), but I’m ready to support our project going forward now. If you’re dealing with Spatial data and you’re not already a guru on the topic, I’d strongly suggest you pick this up. If you’re an expert, this book isn’t for you. There are plenty of examples and Mr. Aitchison walks you through some important concepts, such as importing spatial data. Did you realize that Microsoft didn’t include any mechanisms for dealing with in SSIS? Instead you either need to get creative with TSQL or, better still, use a third party product. I got a copy of Shape2SQL and I’ve tried it out. It seems to do what we need. We still might end up buying a commercial product (several were listed in the book). But it was the information in the book that told me what I needed to know to get started working with our spatial data. I need to track down more info on spatial indexes now. I just finished chapter 1 of Alastair Aitchison’snew book on SQL Server spatial data, “Beginning Spatial with SQL Server 2008.” If this is the beginners book… oh boy. The advanced book must be insane. Seriously though, Mr. Aitchison seems to have written a fantastic book. I’m going to tear through it as fast as I can because I’ve got two projects that are looking to start using spatial data and quite frankly, I’m a bit lost. There’s a great discussiongoing on over at SSC as to the worth of technical books for DBA’s. It’s based on this editorialby Tony Davis. I’m surprised by the number of people who say they don’t use books. It seems that a lot more people use blogs and articles and discussion groups to learn. Maybe I’m showing my age a bit, but I don’t think a blog post or an article is going to get the depth and knowledge that Mr. Aitchison is displaying in this book. I know I’m regularly opening Kalen Delaney’s Inside SQL Server 2005 (and the new one for 2008 just came out) to look up bits & pieces of information that just isn’t as readily available on the web. Also, it’s worth pointing out, except for the editing that comes from people who read this blog, no technical review is done of this information. I might be right about the things I post, but I could be VERY wrong. Same with any other blog you read, including blogs by the big names. Despite the errors that creep into books (and trust me, they do), books are very carefully scrutinized by multiple sets of eyes to try to catch those errors prior to publication. They miss some, but they try not to miss any. Few blogs are like that. Not that many technical publications are terribly strict about technical accuracy either. I generally find more good information in the right books than anywhere else. End of rant. I need to get back to reading this excellent book.